Indaba is now roasting their own coffee. Even though they're serving up the same lattes and waffles with your favorite artisan syrups, if you walk into Indaba, it may look a little different to you. In honor of the new year, the West Central neighborhood hangout has received a rejuvenating new sky-blue paint job after four years. 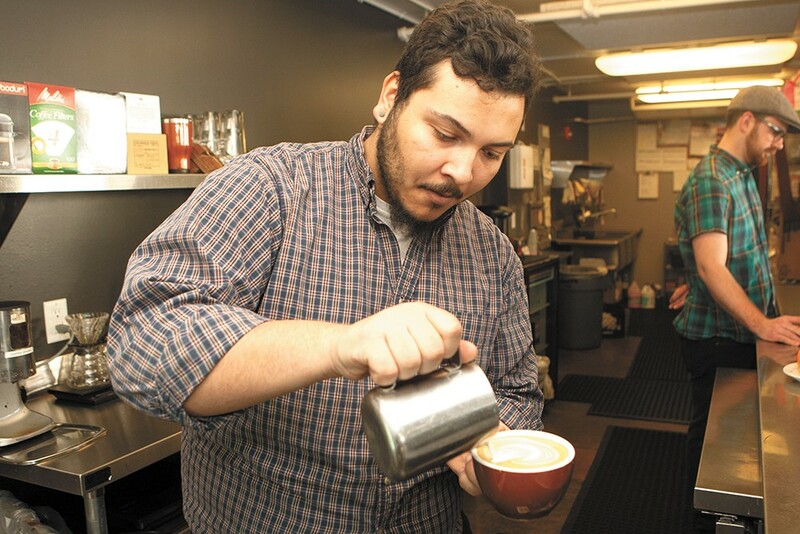 New year, new Indaba, barista Nathan Arroyo says. And thanks to a new roaster, the Indaba staff will be roasting their very own coffee on site. They expect to start selling retail, but if you want to get your hands on their coffee beans before anyone else, check out their Beta Beans on Square Market to sign up to be a taste tester. Indaba is also going philanthropic. Last month, they introduced the Indaba Fund to give a cup to a friend in need. Tell your barista you want to "give a cup" and with your donation, they'll take care of it.